What Are the Benefits of GTF Chromium Supplement? Can Certain Supplements Help the Metabolism of Carbohydrates? 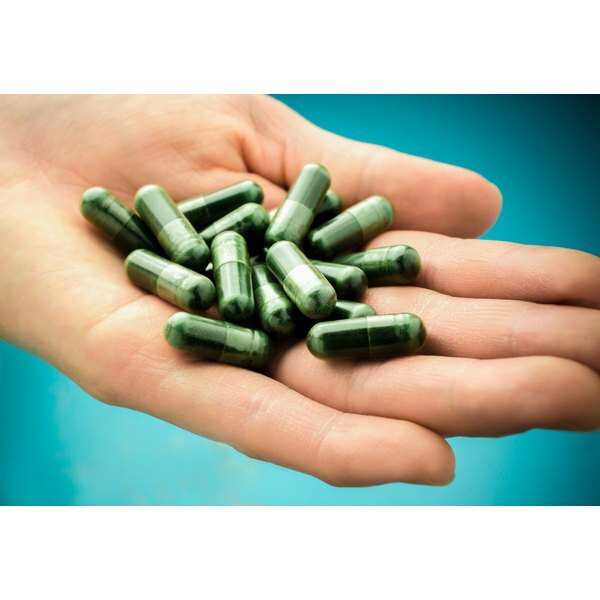 Many people regularly take Glucose Tolerance Factor (GTF) chromium supplement pills. This mineral is thought to help improve the body composition of people trying to build muscle and lose fat, decrease insulin resistance in type 2 diabetics and even lower cholesterol. Generally, chromium supplementation is considered safe and free of negative side effects. However, there have been some cases of people reporting adverse effects from chromium. As with any supplement, be certain to check with your physician or health care provider to determine its health benefits and/or potential dangers as applicable to your condition. Although reports of chromium side effects are rare, it has been known to cause a few issues according to the University of Maryland Medical Center. Even though moderate amounts chromium are thought to enhance the effectiveness of insulin—a hormone that controls your blood sugar levels when it gets too high—extremely high doses of the mineral can inhibit the hormone. This interference can result in hyperglycemia, or high blood sugar, which itself has several adverse effects including excessive thirst and urination, low energy levels and even confusion and coma. It has not been well-established how much chromium may cause this side effect; and the National Institute of Medicine has not decided upon the tolerable upper limit for this mineral. Other, generally minor side effects of chromium supplementation have been reported. These include itching and flushing of the skin and irritation of the stomach. Some people have reported fast, irregular heartbeats after taking chromium, and still others believe that the mineral may have caused their liver dysfunction. Additionally, two reported cases of kidney damage have been attributed to GTF chromium, according to the University of Maryland Medical website. However, the incidences of these side effects are so low that they cannot definitively be associated with chromium, although the supplement has not been ruled out. As such, you should take chromium supplements in moderation like everything else, especially if your stomach, liver, unrinary tract or skin tend to be sensitive. You can be allergic to GTF chromium supplements, even though such allergies are rare. You should seek emergency help if you experience signs of an allergic reaction after consuming chromium, which include difficulty breathing, hives on your skin or swelling of the lips, tongue or throat. Chromium supplements can additionally interact with therapeutic drugs you may be taking. Certain drugs, such as antacids, corticosteroids and proton-pump inhibitors, alter the digestive properties of your stomach and can prevent your body from absorbing chromium. Additionally, chromium enhances the effects of other drugs, such as beta-blockers, insulin, nicotinic acid, nonsteroidal anti-inflammatory drugs (NSAIDS) and prostaglandin inhibitors. If you take any of these drugs regularly, you should consult your doctor before adding a chromium supplement to your diet. What Is Nutritional Value of Sugar? Is Glutamine Bad for Kidneys?